Looking for something to do the weekend before Halloween and not sure what to do? Brick-or-Treat Party Nights at LEGOLAND® California Resort, presented by Shutterfly®, is back and sweeter than ever! 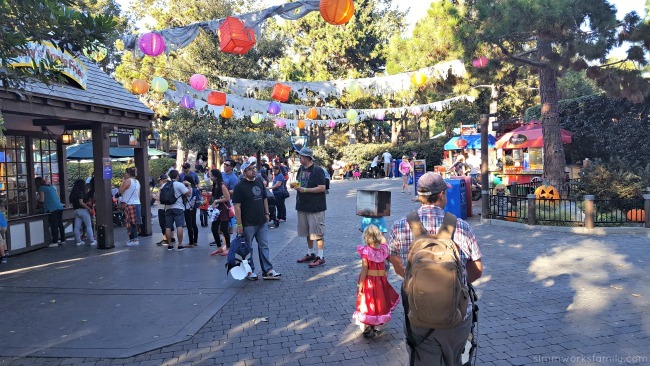 The biggest kids’ Halloween celebration in San Diego offers children and their families trick-or- treating and entertainment throughout the Park. 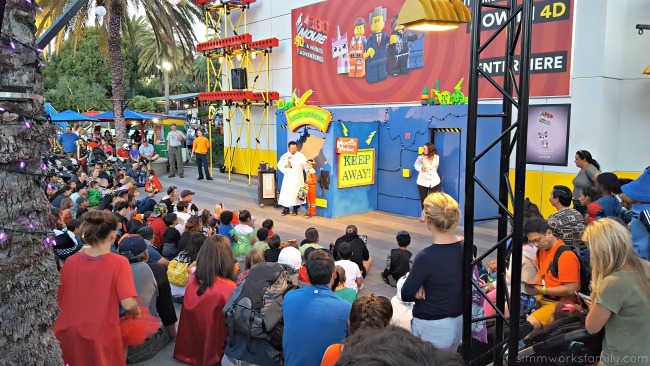 Every Saturday night in October starting at 5 p.m., LEGOLAND California transforms into a not-too-spooky Halloween party. 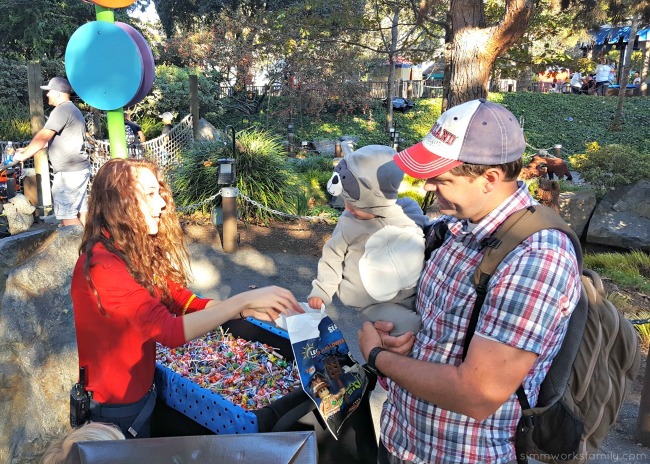 We were invited to attend our first Brick-or-Treat Party Nights as LEGOLAND California ambassadors and boy did we have fun! Featuring a new Ghost Cruise adventure, a new pop-badge challenge through Fun Town, a new theater show in Castle Hill, a fall festival complete with a LEGO® pumpkin patch building activity and blue-grass style music in LEGO Friends Heartlake City, treat stations with specialty items including a LEGO® commemorative Brick, roaming candy carts throughout the Park and two bonus treat stations inside SEA LIFE® Aquarium. Plus, LEGOLAND® Hotel joins in the fun with its own Halloween party on Oct. 31 with candy giveaways, a dance party and a special visit from Brick-Or- Treat Characters exclusively for Hotel guests! Brick-or- Treat Party Nights is a special event and admission can be purchased for as low as $35 if purchased online in advance. Special event ticket holders can enjoy costume contests, trick-or- treating at treat stations and candy carts filled with tasty goodies and other surprises, festive music, live entertainment including the hilarious “Boo Crew,” a dazzling animated Spirits of Brick-or- Treat light show, and new Ghost Cruise adventure. 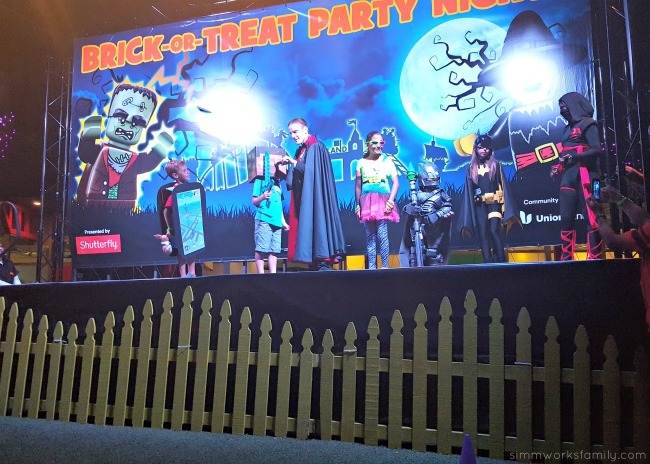 The LEGO themed treat stations and candy carts offer a safe, fun and entertaining trick-or- treating experience for all to enjoy. An all new show, “The Curse of the Hallowmeenie” debuts at the Castle Stage in Castle Hill. Special event guests can also enjoy entertainment from The Witchettes, Bluegrass Band Jamboree. There is a special LEGO Friends meet and greet in Heartlake City, where kids can decorate their own craft! Guests can also “boo-gie” down at frighteningly-fun dance parties: Hubble Bubble’s Dance Party atop the Model Shop in Miniland U.S.A., Pirate Booty Boogie at SEA LIFE Aquarium, plus sing and dance along to the music and mayhem in the Monster Fighter Mash featured at the Fun Town Stage. My son went out of his comfort zone when we visited Brick-or-Treat Party Nights and entered the costume contest. 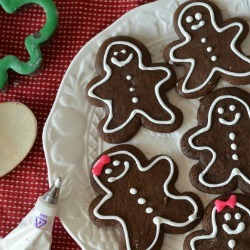 There are three categories for guests to enter: group, LEGO themed, and creative. Each participant needs to register before the event and line up to take center stage in front of the judges when their category is up. 1st, 2nd, and 3rd prize winners are chosen and the prizes are definitely worth it! 2nd and 3rd place winning 2 park hopper tickets to LEGOLAND California as well as LEGO goodies and souvenirs. 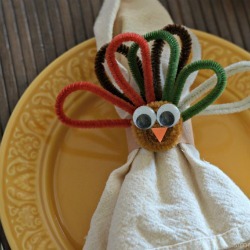 And 1st place takes home 4 Merlin annual passes, a stay at the LEGOLAND Hotel, and more! My son entered the creative round and did something I never thought he’d do – talk on stage! It was quite a fun experience even if he didn’t come close to winning with his Steve from Minecraft costume. He had a great time and that’s all that matters! LEGOLAND California and SEA LIFE Aquarium are open from 10 a.m. to 5 p.m. on select dates throughout October. 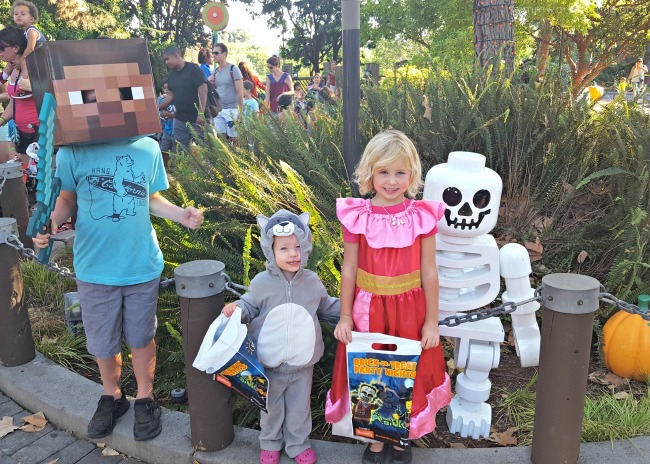 With special event admission to Brick-or-Treat Party Nights on October 1, 8, 15, 22 and 29 guests can extend their day until 9pm at both LEGOLAND California and SEA LIFE Aquarium to enjoy all the Halloween festivities. 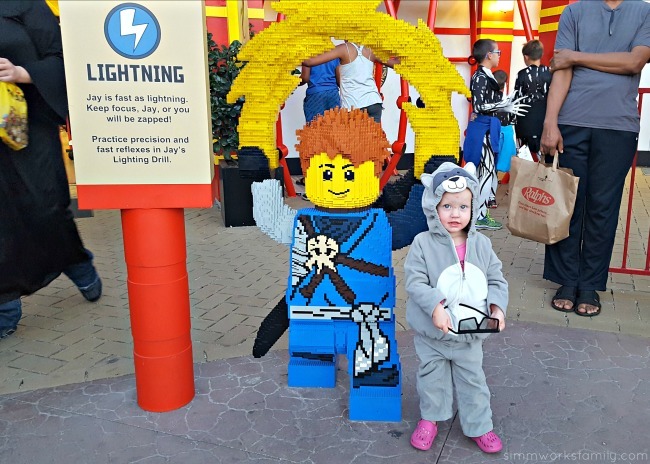 Have you ever joined LEGOLAND California for their Brick-or-Treat Party Nights? 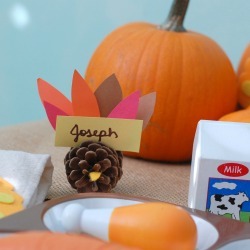 For exclusive savings and more information, visit www.BRICKORTREAT.com or call 760-918-5346.